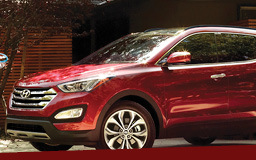 Find yours today at Fowler Hyundai! Finding your way to the perfect used SUV for sale that is affordable, roomy, and capable - can seem like a tall order. But you'll be glad to know that you're already well on your way, thanks to the unbeatable inventory and uncommon courtesy you'll find at Fowler Hyundai! Our brand of customer service is second to none, and our team is fully committed to making the shopping experience easy, stress-free, and fun. So when it's time to choose your next used SUV, Brandon's best deals are at Fowler Hyundai. Check out our always-available online inventory to see what we have in stock today - you'll see what we mean! One glance will show you that when it comes to used SUVs for sale, our hand-picked used inventory can fit any criteria and budget. 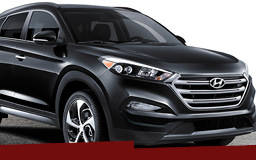 And if you think that contemporary comfort, features, and quality are out of reach, you haven't seen what Fowler Hyundai has to offer - because over 90% of our pre-owned SUVs are drawn from within the past three model years! And while Hyundai classics like the Santa Fe and Tucson make up the majority of our inventory, we also offer selections from Chevrolet, Nissan, and more. Variety is key to our used sales philosophy - and new trade-ins mean that it pays to check our inventory as it develops! And if your search raises questions that our in-depth vehicle profiles can't answer, simply get in touch with us to request additional info from the Fowler Hyundai team. And if you're looking for a bit more guidance in the shopping process, perhaps still considering budget options, we'll be equally glad to help you get started. There's no wrong way to begin your SUV search! But no matter how you start, you can rest assured that Fowler Hyundai recognizes the value of keeping our customers informed. We pride ourselves on customer interactions centered around a straightforward, up-front communication style. The more you know about browsing, financing, payment plans, and maintenance best practices, the better equipped you'll be to enjoy your used SUV for years to come. So choose Fowler Hyundai, the dealership that helps put you behind the wheel of cars that are simple to buy and truly rewarding to own. Unlike many competitors, we always look far beyond the bottom line - find out how that can benefit you today! And when the time comes to consider maintenance and repair options, Fowler Hyundai makes a strong case for being Brandon's best one-stop resource for parts and automotive service centers. Because who doesn't want to keep their SUV running at peak performance for longer? And with all-new sales, service, parts, and tire specials on offer every month, Fowler Hyundai can keep you on the road for a lot less than you might think. And if you're also in the market for a hard-to-find part, just ask one of our associates - we'll be glad to help. SUVs often have to carry some of the strictest critics on the road - and family concerns can make for a pretty cramped schedule. Not to worry! Fowler Hyundai's customer-focused philosophy means that we keep our doors open from Monday to Saturday! That's Monday through Friday from 8:30 AM to 6:00 PM, and Saturday from 9:00 AM to 5:00 PM - contact us by phone, email, text, or simply walk onto the lot! And however you contact us during off hours, we'll always get back in touch using the contact method of your choice. 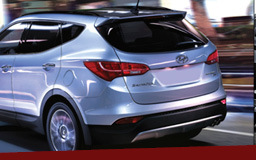 Discover a new, better way of buying a used SUV at Fowler Hyundai! There's no question that we're proud of the hand-picked SUV inventory we've put together at Fowler Hyundai. But that's only half the story. From the sales pros that welcome you to the dealership, to the financing experts who help put together payment plans, to experienced service technicians who conduct maintenance, inspection, and more, we have good reason to be proud of the Fowler Hyundai team. You could browse our staff profiles, sure - but it's even easier to just contact us. Discover how we inspire lifetime customers one interaction at a time! 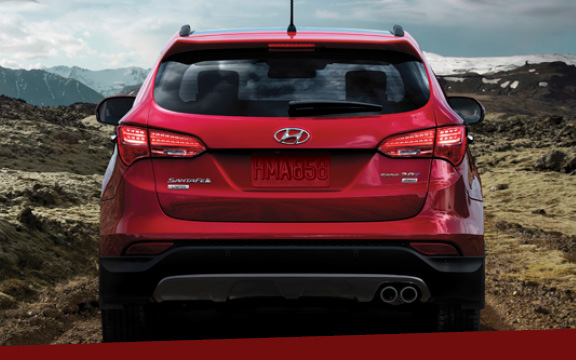 It goes without saying that Fowler Hyundai carries new and pre-owned Hyundai SUVs, cars, trucks, and more - but we've never been limited to a single manufacturer, and our inventory is stronger for it. And no matter what you choose, you can be confident that your next SUV has passed a rigorous checklist for quality, performance, and value. See what we've got in stock in our online inventory - we know that you'll like what you find! Putting together a used inventory takes time, and every purchase offers the chance for another trade-in and a wider selection for you. So if you're still waiting for the perfect choice, keep checking - we're always cycling through today's best SUVs. If you're shopping for an upgrade to your current SUV, we'd be happy to add yours to our stock! Find out what happens when you choose Fowler Hyundai, a dealership committed to variety, quality, and service! 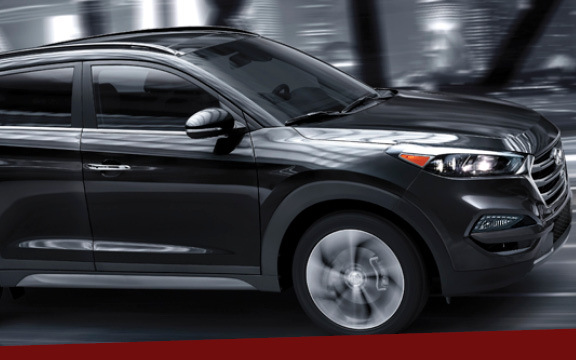 Once your SUV ownership experience begins, Fowler Hyundai will be there to support you along the way. Our parts and service departments help maintain value, boost performance, and maintain maximum uptime to keep your family in motion. Long-term questions like warranties, service contracts, and others can seem a little complex, but our team is ready to field any inquiries you have. It just takes a click or tap to start the ball rolling!